Chandigarh, Jan 1 : The Sacred Heart School in Chandigarh, which facing severe criticism for having expelled Ruchika Girhotra in 1990, claimed on Friday that she was expelled because her fees had not been paid. Father Thomas Anchanikal, the spokesman for Sacred Heart, said Ruchika had been expelled because her fees had not been paid for six months. He claimed to have checked all school records. Chandigarh, Jan 1 - Ruchika Girhotra had never been expelled but removed from the rolls for non-payment of fees, the Sacred Heart school here said Friday following reports that it rusticated the girl in 1990 following her molestation by former Haryana police chief S. P. S. Rathore. Chandigarh, Jan 1 - The first day of 2010 saw the mercury dipping to the lowest this season here to 1.2 degrees Celsius. The weatherman has predicted a further dip. The minimum temperature in Amritsar was minus 0.2 degrees Celsius. "There is no respite from the cold waves in this region and the minimum temperature at 1.2 degrees Celsius is three degrees below the average. We are predicting this trend to continue in the coming days and we are expecting both day and night temperature to fall further," an official told IANS. Chandigarh, Jan 1 - The sharply dipping mercury failed to dampen the spirit of the residents of this union territory who came out of their homes in huge numbers to welcome 2010 on New Year's Eve. The commercial hub here, Sector 17 plaza, was thronged by over 20,000 people who had gathered Thursday night to celebrate the advent of the new year. The administration had planned a series of activities in Sector 17 -- including fireworks, music, singing and dance competitions. The discotheques, hotels and clubs were packed. Chandigarh, Dec 31 : Sister S Sebastina former principal of the Sacred Heart School which expelled Ruchika Girhotra in 1990, is likely to be questioned by the Chandigarh Administration. Ruchika was in class 10 when she was expelled a month after former Haryana Director General of Police (DGP) SPS Rathore had allegedly molested her. The school administration said non-payment of monthly fees led to her rustication. Chandigarh, Dec 31 : To avoid any untoward incident on New Year's eve, the Chandigarh police have made elaborate arrangements to maintain law and order situation in this Union Territory (UT). The local police are also coordinating with their counterparts in the neighbouring towns to prevent criminals from escaping using border routes. "Special security arrangements have been made around city hotels, restaurants, discotheques and at those places that are expected to be frequented by heavy crowds," H. S. Doon, UT superintendent of police (security), said here Thursday. 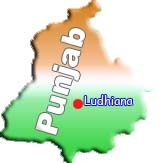 Chandigarh, Dec 31- The Punjab government has suspended 11 senior civic officials in Ludhiana for their alleged involvement in a financial racket running into crores of rupees, a spokesperson said here Thursday. Four executive engineers, three assistant municipal engineers, two junior engineers and two deputy controllers finance and accounts of the Municipal Corporation in the industrial hub of Ludhiana, about 100 km from here, were suspended by the local bodies minister Manoranjan Kalia. Chandigarh, Dec 30 : The Chandigarh administration Wednesday began a magisterial probe into the reasons behind the Sacred Heart School here expelling teenage molestation victim Ruchika Girhotra in September 1990. "Sub-Divisional Magistrate Prerna Puri was in the school today (Wednesday) to conduct an inquiry into this matter. The school authorities cooperated with her and we are ready to extend any kind of help to the administration," said Father Thomas, spokesperson of Sacred Heart School in Sector 26 here. Panchkula (Haryana), Dec 30 : A Panchkula court on Wednesday rejected the anticipatory bail plea of former Haryana Director General of Police (DGP) SPS Rathore. The court said no anticipatory bail would be given to Rathore till January 1. With this, Rathore who was earlier handed a six months jail sentence for molesting Ruchika Girhotra may be arrested soon. Rathore had filed the bail application after two fresh cases were filed against him. Chandigarh, Dec 29 : The first 600 MW unit of the Rajiv Gandhi Thermal Power Project (RGTPP) at Khedar in Hisar district of Haryana became operational Tuesday, an official said. "The unit will be operated at a load of around 40 to 50 MW for a few hours during which all the leakages and problem areas will be noted for corrective action," said Chief Minister Bhupinder Singh Hooda here Tuesday. Chandigarh, Dec 29 : Lawyer Pankaj Bhardwaj, who fought Ruchika Girhotra's molestation case free of cost for the last 13 years, said he will meet union Home Minister P. Chidambaram in New Delhi Wednesday and place all the facts and evidence of the case before him. "I had got a call from the home minister's office a few days back and they called me to Delhi to discuss this case. Earlier we fixed the date of Dec 29 but later changed it to Dec 30," Bhardwaj told IANS Tuesday. Chandigarh, Dec 29 : Punjab Chief Minister Parkash Singh Badal Tuesday asked officials to examine the feasibility of adopting the Tamil Nadu healthcare model in the state to ensure better procurement of high quality medicines and equipment. (DGP) S. P. S. Rathore. "All aspects of this case are being examined legally and the government would try to ensure justice to the affected family," Hooda told mediapersons at Khedar near Hisar, 300 km from here, after inaugurating the first phase of the 1,200 MW Rajiv Gandhi thermal power plant. Chandigarh, Dec 29 : Ruchika''s family lawyer has filed two First Information Reports (FIRs) against former Haryana DGP SPS Rathore, who has been charged for allegedly molesting teenager Ruchika Girhotra, a promising young tennis star in 1990. The lawyer claimed that the first FIR has been filed for forging documents like the inquest report and the other for illegal detention of Ruchika''s brother Ashu, who was kept in illegal detention at the behest of Rathore and given tortures. 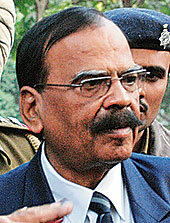 Chandigarh, Dec 29 - A public interest litigation (PIL) was Tuesday filed in the Punjab and Haryana High Court seeking a "fresh case" against disgraced former Haryana director general of police (DGP) S. P. S. Rathore and asking that he be tried for abetment to suicide of a minor as well. Chandigarh, Dec 29 - Once a popular officer in Haryana's administrative and police circles for his social and golfing skills, disgraced former Haryana director general of police (DGP) S. P. S. Rathore has become almost a pariah in the same circles in the last few days. A neighbour says it's as if he has been "abandoned" by his friends. Even the official website of the Haryana police, which Rathore headed as DGP between October 1999 and December 2000, carries his photograph among the state's police chiefs but his bio-data has gone missing. Chandigarh, Dec 29 : Sixteen years after Ruchika Girhotra, a promising young tennis star killed herself by drinking poison, her friends and acquaintances remembered her. Ruchika committed suicide because she was unable to face the trauma imposed on her family at the hands of former Haryana DGP SPS Rathore, following her molestation at his hands. The last nineteen years have been a period of sheer agony for her family and friends. Ruchika''s friend Aradhana remembers the time when she used to play tennis with her. Chandigarh, Dec 29 - The Chandigarh administration has initiated a magisterial inquiry into the role of a leading all girls school Sacred Heart here for expelling teenage molestation victim Ruchika Girhotra in September 1990. 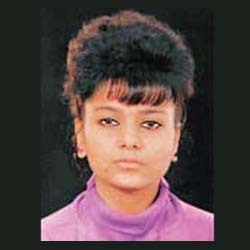 Ruchika was expelled from the school for unexplained reasons just a month after she was molested by former Haryana Director General of Police (DGP) S. P. S. Rathore Aug 12, 1990. Chandigarh, Dec 28 : After playing hide and seek with Chandigarh police for over four months, Congress councillor Devinder Singh Babla finally surrendered before the police late Monday evening. Babla, Congress councillor in the city's municipal corporation and a general secretary of the Congress' Chandigarh unit, had gone into hiding in August this year and also challenged Chandigarh police to arrest him. 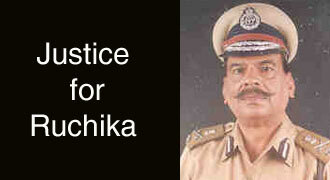 His bail plea had been rejected twice, by a lower court Sep 13 and then by the Punjab and Haryana High court Oct 7.